Castlebellingham and the surrounding area was always regarded as an ideal place to live due to it's combination of rural lifestyle and proximity to towns such as Dundalk, Drogheda and Ardee. The introduction of the M1 Motorway in the last few years has reduced commuting time to Dublin to approx. 30 Mins leading to increased demand for housing in the area. Fortunatley, local property developers have been aware of this for some time and have been able to provide a wide range of housing to cater for this demand. East Coast Real Estate is delighted to bring to market this quaint two bedroom detached property. The property is well located in Nicholastown, Togher, Co.Louth, and sits on a 0.5acre level site. 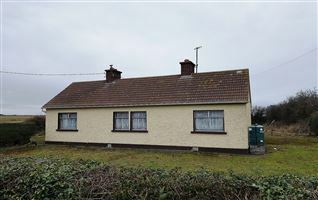 The property offers enormous scope for further development (SPP) , and is located a short stroll to Port Beach, and 10 minuets drive to Drogheda.